When I first tasted my friend Lauren’s potato salad I knew she meant serious business. 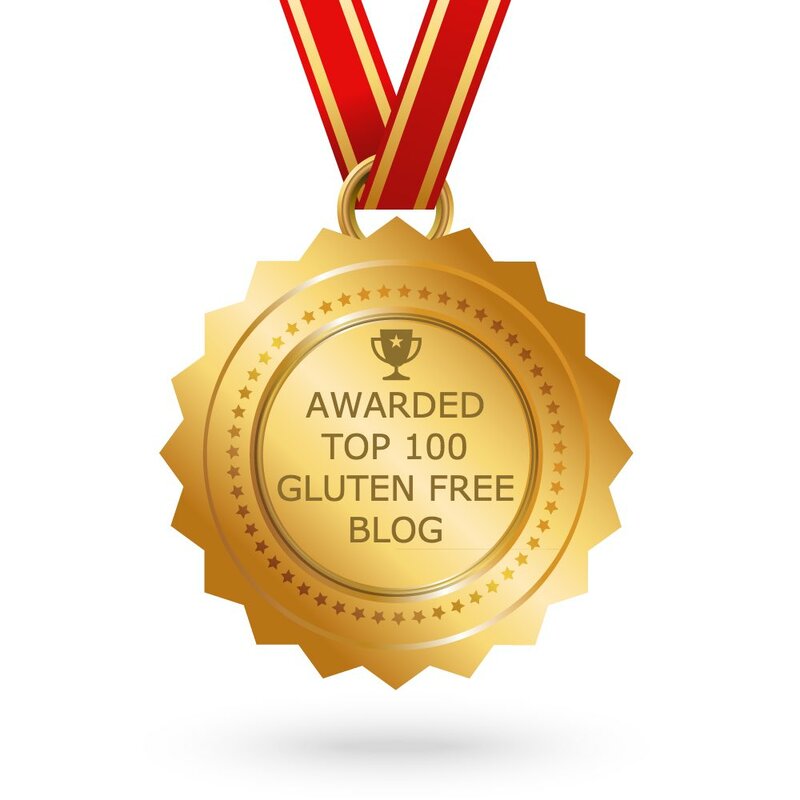 Before that, I wondered why the heck there are green vegetables in her potato salad, not very common, and certainly not the type I’m accustomed to. 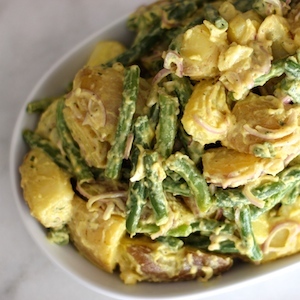 I mean, how do green beans contribute anything to a good old-fashioned potato salad. But as friends do, we give it a try and hope for the best. And the best it was. While stuffing my face (she’s a really good cook and is gluten free and dairy free too. Read: score!) I thought of you guys and got the recipe. Wait ‘till you try it. 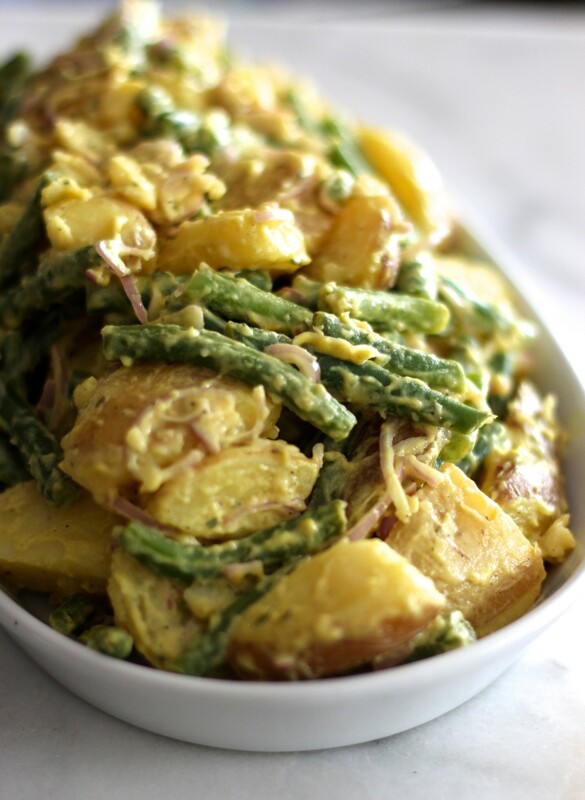 Surprisingly, green beans pair very well with potatoes, adding a nice texture to the dish. What is typically a heavy salad, this feels lighter and healthier (hence, the extra helpings I couldn’t resist). Now and again I like to make the dressing for simple steamed green beans or brussels sprouts to add a burst of flavor to our veggies. 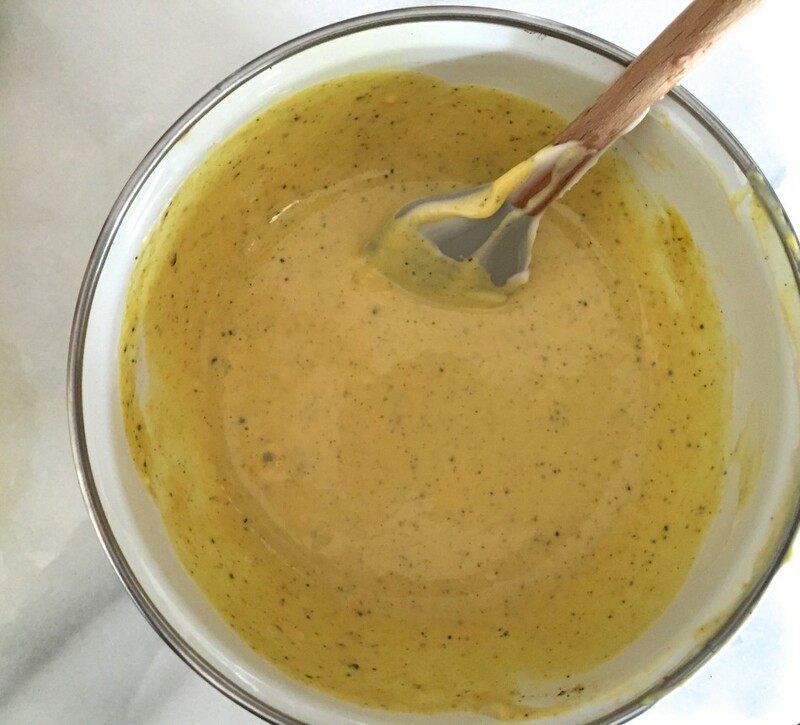 My friend Lauren serves this as a warm potato salad, drizzling her delicious dressing over the hot vegetables. I serve it chilled as preferred in our house. For some reason, the tangy, vinegar and mustard flavors are more pronounced when the salad is chilled. Either way it will knock your socks off. 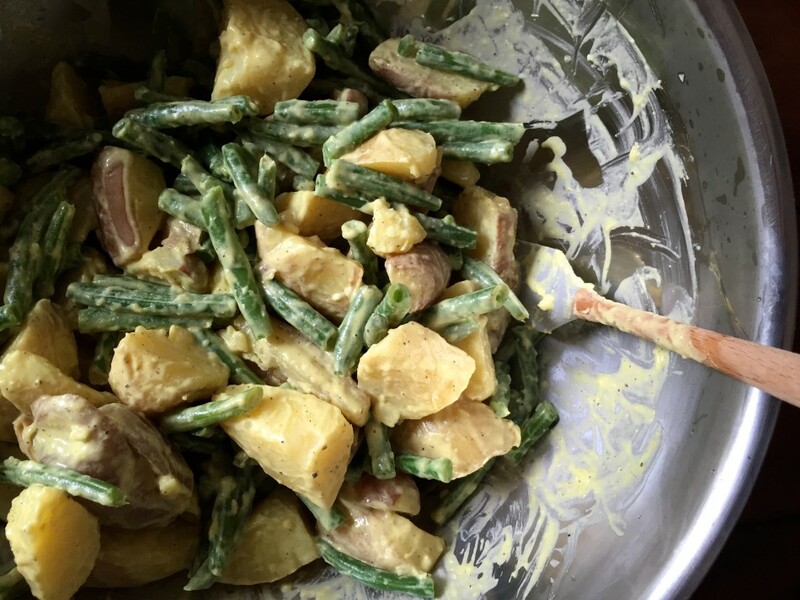 This potato salad is too good not to share here, but I felt I should share the effects of nightshade vegetables, like potatoes, with those who may suffer from inflammatory issues and are not familiar with the effects of nightshades. If you may have these issues please take a minute to read on. Nightshade vegetables are something to avoid when inflammation such as eczema, dermatitis, rheumatism, gout, or arthritis are an issue since the alkaloids they contain can create a heightened sensitivity. 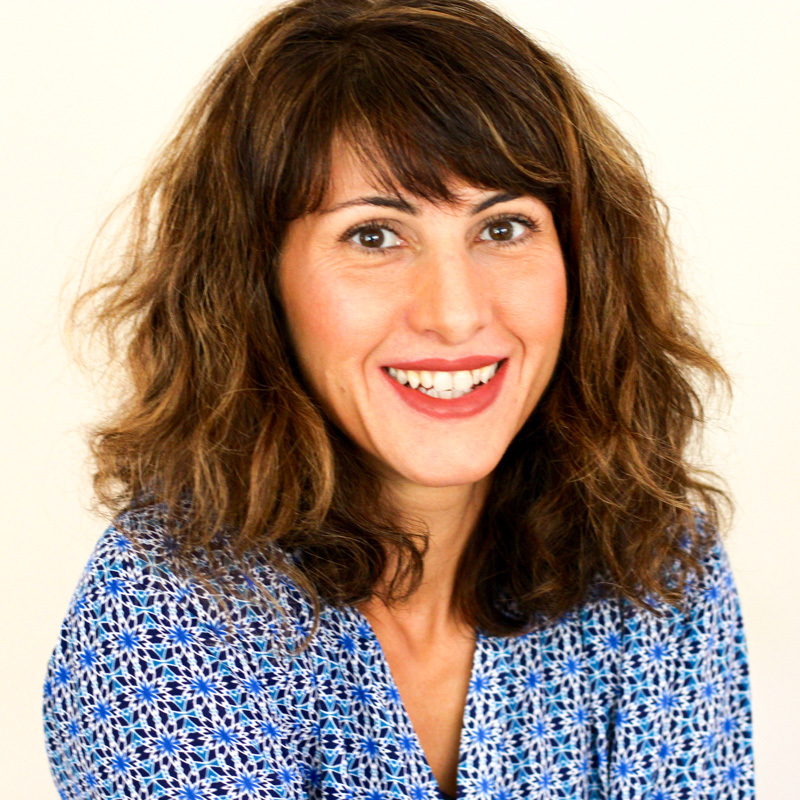 The best way to know if you have a sensitivity to nightshade vegetables (potatoes, tomatoes, eggplant, sweet and hot peppers, including the spice paprika) is an elimination diet. If removing this group of foods for one month improves inflammatory issues then you will know that your body is sensitive alkaloids. Boiling nightshades will reduce alkaloids by 40-50% but should still be avoided if you have any of the health issues mentioned above, including colitis, and Crohn’s disease. 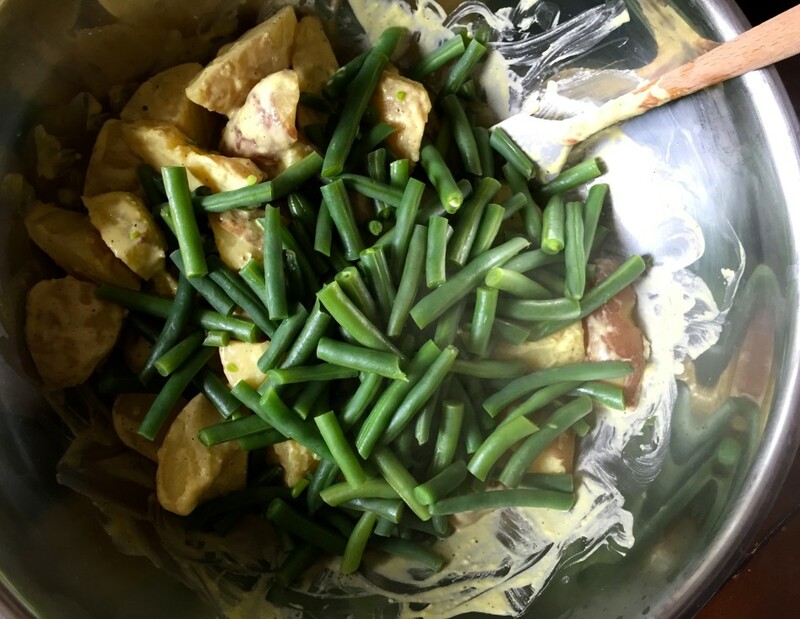 This potato green bean salad is quite tasty warm or cold, can be halved, or doubled in a recipe that comes together in minutes - as easy as it gets for your warm weather meals. Enjoy! Combine all vinaigrette ingredients in a large bowl (I combined vinaigrette ingredients in a small bowl for photo purposes, otherwise I just add all the ingredients in one bowl). Set aside. 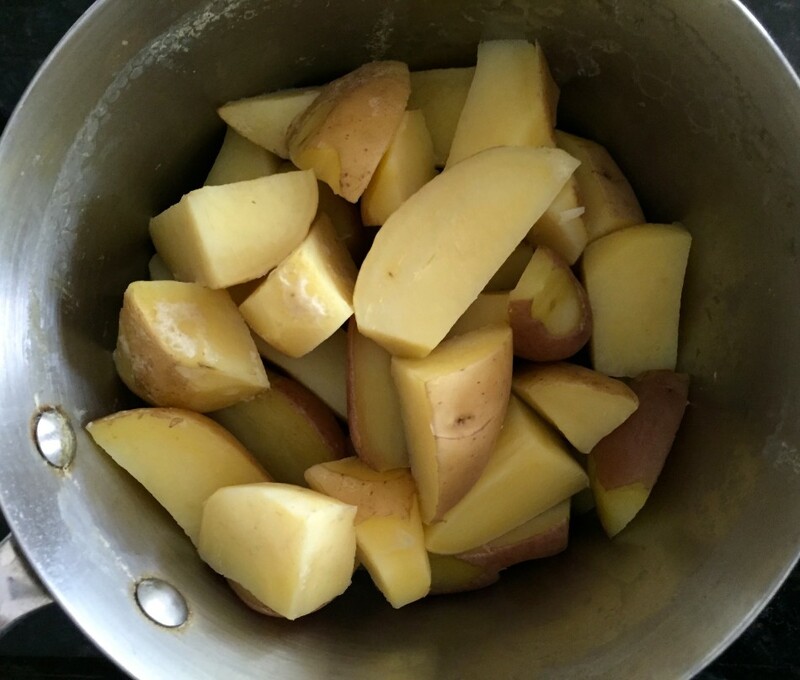 Boil water in a 3 quart saucepan ¾ full and add 1 tablespoon of kosher salt, then gently add quartered potatoes (use a large spoon, dropping in by hand may cause splatter - be careful!) and boil for about 15 minutes on medium heat, or until you can easily pierce thick pieces with a fork. Drain then add to the bowl. Steam green beans for about 3-4 minutes, or until just softened, then transfer into the prepared bowl. Add sliced shallots. 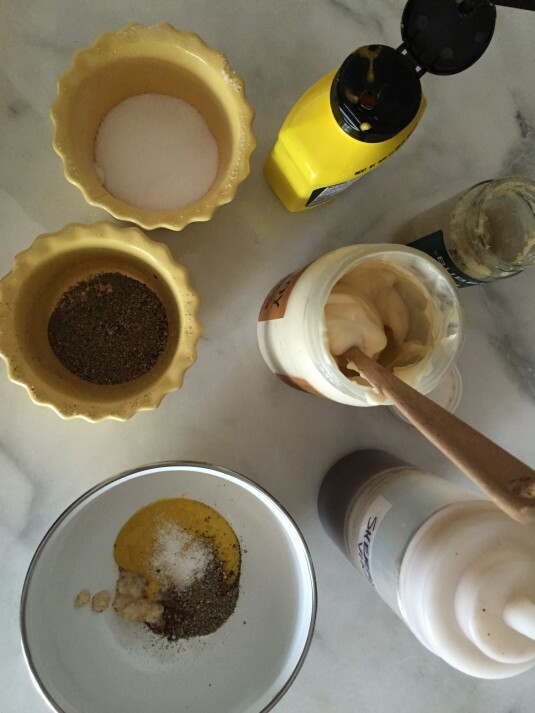 Mix all the ingredients and taste if additional salt or pepper is needed. Serve warm or cold. Can be refrigerated for up to 5 days or frozen in an airtight container. Go for the waxy, low starch potatoes; those are best for potato salad since they don’t break apart during the mixing stage. Some low starch varieties are Russian or Banana Fingerlings, New Red or White, and Yukon golds. I don’t recommend starchy potatoes such as Russets since they break apart; they are best for mashed potatoes, hash browns, and french fries. 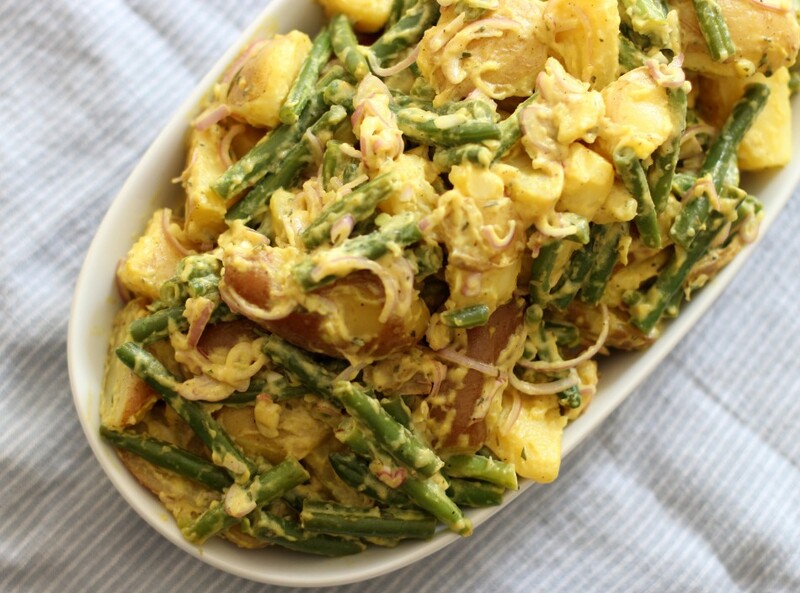 I LOVE green beans in my potato salad! 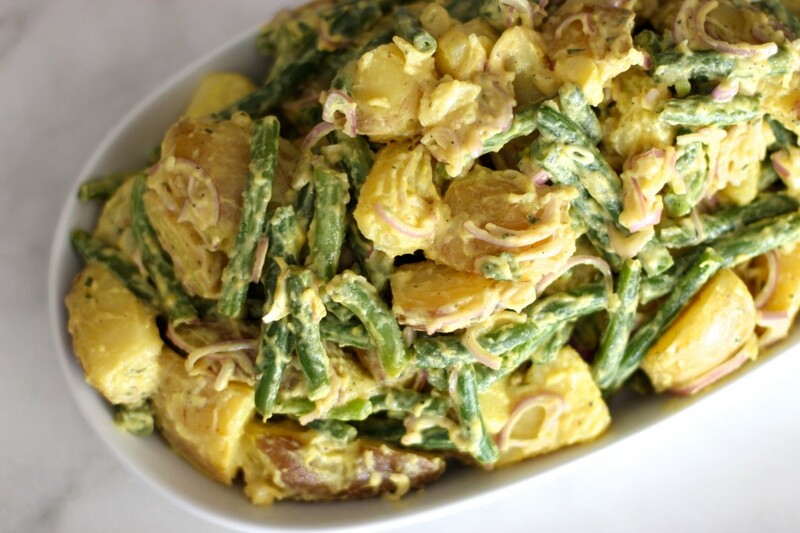 I must agree that the first time I saw green bean potato salad, I thought it a bit odd, too. But OMG so delsih! Love the idea of serving this warm. Can't wait to try it out. This looks SO freakin good! My Mom and me make it solely mayo based with celery and onion but this looks too good to resist. Will definitely be trying this! Yay, you will love it ... enjoy! Claire, healthier yes, but just as tasty so he just might love it and won't miss a thing. Enjoy! This salad looks so refreshing on hot days like we're having now! Love the idea of shallots over red onions. Thanks Freddie, me too. 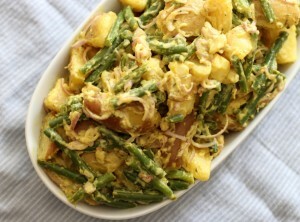 I made it with red onions in the past and found that it overpowered the potato and green beans - shallots all the way! So happy you enjoyed it Sherri, thanks for sharing! It turned out delicious and so easy!